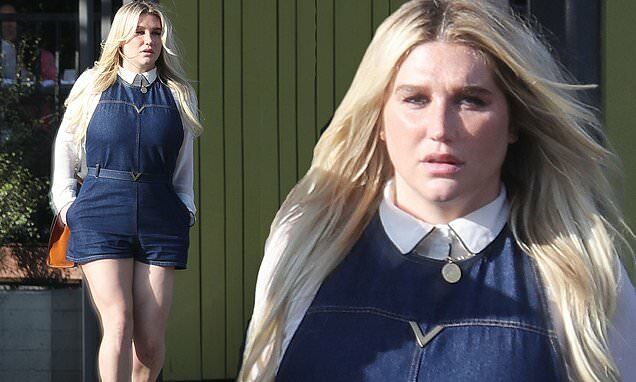 Kesha enjoyed a relaxing lunch at a trendy restaurant in Venice, California, on Monday. The singer, 32, was dressed for the sunny Spring day in a blue denim romper worn over a white shirt. The outfit was belted at the waist and she went bare-legged in burgundy lace-up ankle boots. Kesha has been locked in a long-running legal battle with producer Dr. Luke but in 2017, returned to recording new music. She released her third studio album Rainbow with the single Praying which became an anthem for abuse survivors.